From all the big fashion houses – meaning with sales of more than one billion Euros a year – the only one who is completely committed to design and innovation is Prada. Hardly ever does one hear about DNA or signature pieces from the company, as the mantra is always to push forward. 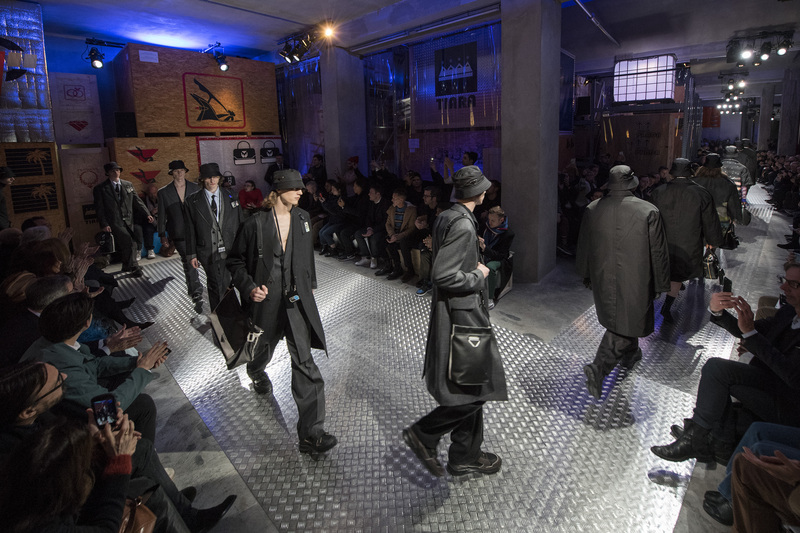 Most refreshingly, Prada does not even have press releases for its shows as they speak for themselves. So the sneaker category was lacking recently and what do they do? They come up with a new version, which is an entirely new design from everything else that is out there. 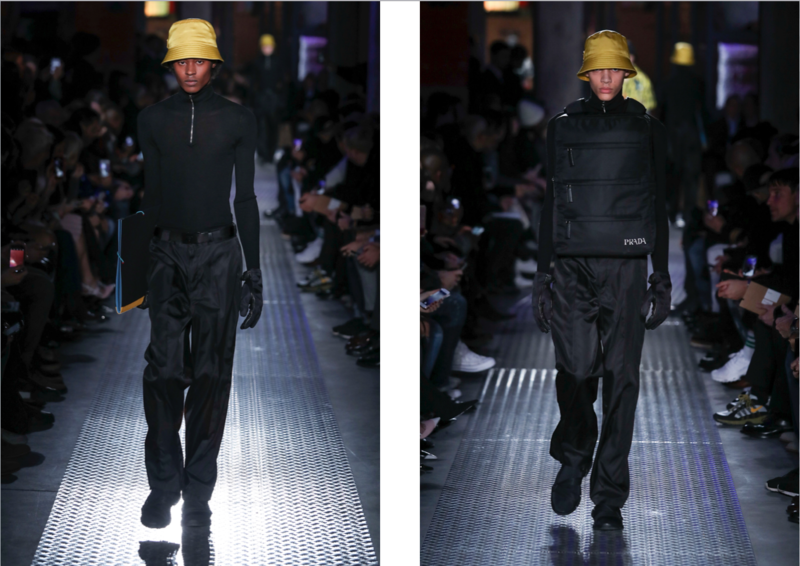 For her latest men’s show, Miuccia Prada invited some of her favorite collaborators like Rem Koolhaas and Herzog/De Meuron plus the German Konstantin Grcic to play with a Prada totem: black nylon. 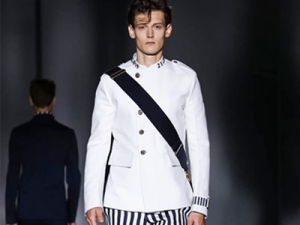 Held in a warehouse, the show was a major statement embracing the uniform. Very realistically speaking, Alessandro Michele at Gucci is claiming to be number one in Milan. And Miuccia has no intention of giving her slot away. She has been Milan’s most influential designer of the past 20 years and wants to stay there. 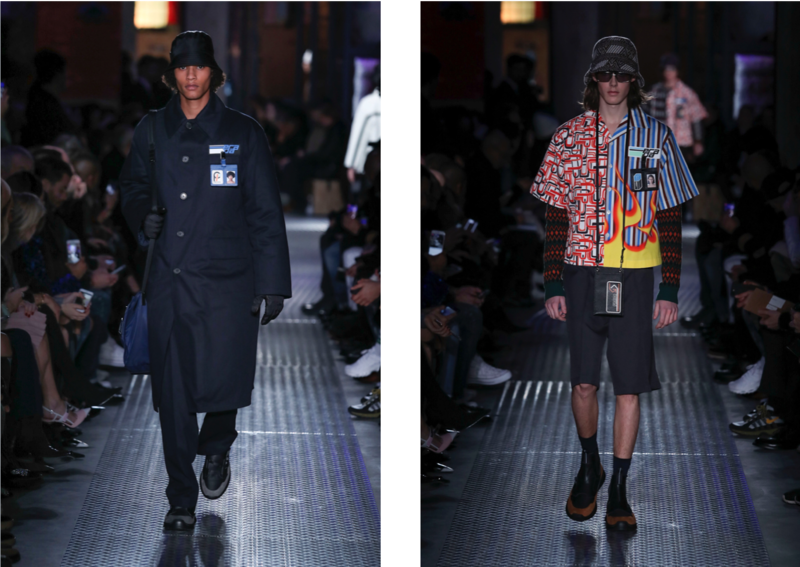 So while Gucci has challenged her status with its fast growing business and influential fashion shows which have ushered in the period of individualized fashion, Prada is responding with what she does best, the personalized uniform. 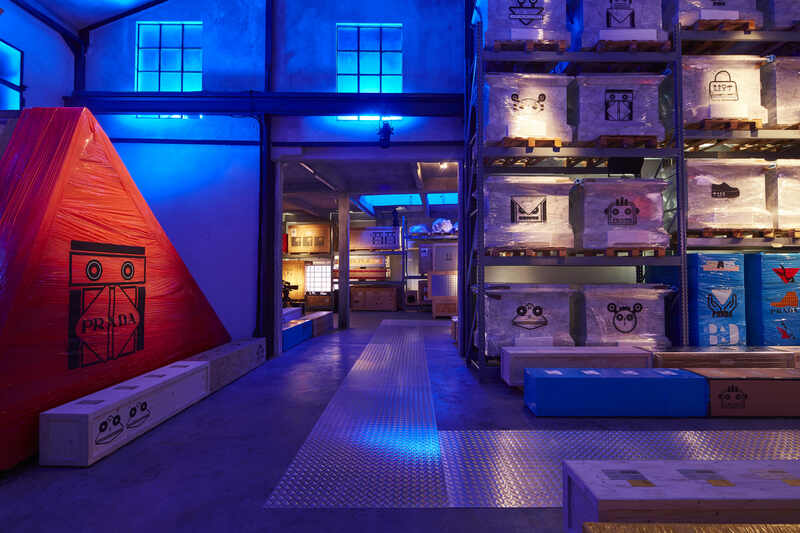 By taking the show out of the usual space on Via Fogazzaro to a warehouse near the Fondazione Prada the company automatically refreshed itself. All the boxes and crates stored around the runway made for a mysterious guessing game what might be in them and added to the company’s histrionics. 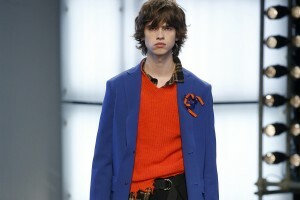 In a funny way, we felt that most of the show was a sophisticated Prada Sport runway. Technical fabrics were everywhere and of course the cool looking black nylon in coats, jackets, capes, hoodies and more ruled. 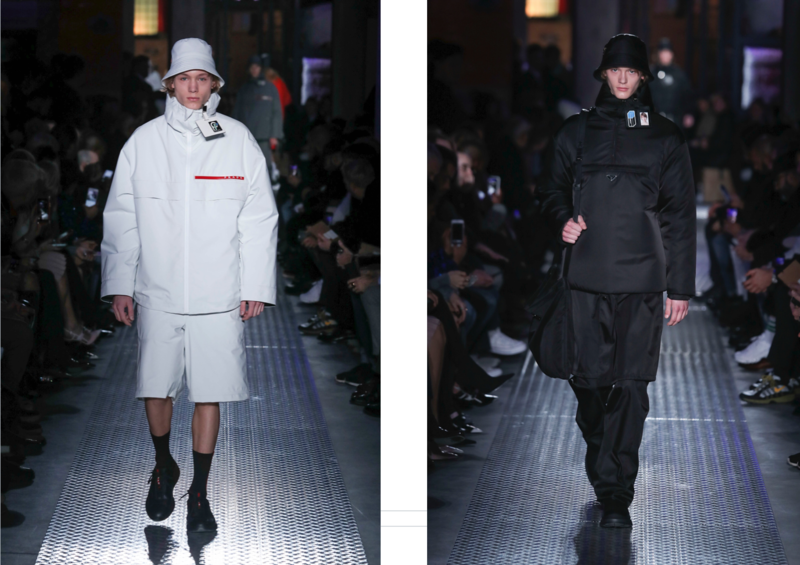 Prada shows often feel as if she was dressing a former Soviet Union sports teams for the Olympics and so this time, the suiting with pattern mixes recalled an army of futuristic officer workers. Apart from changing the show space, Prada also added a few new collaborators to her line up. Next to the usuals like Rem Koolhaas and Herzog/DeMeuron, there was Konstantin Grcic from Munich whose press photo was shot by our frequent contributor Markus Jans. His apron in nylon was in fact the best of the collabs. Oh my God, Italy’s suit makers and top tailors have been having nightmares. What to do to sell a suit to these ever more casual men out there? They now even wear sneakers to the office and not just the gym. 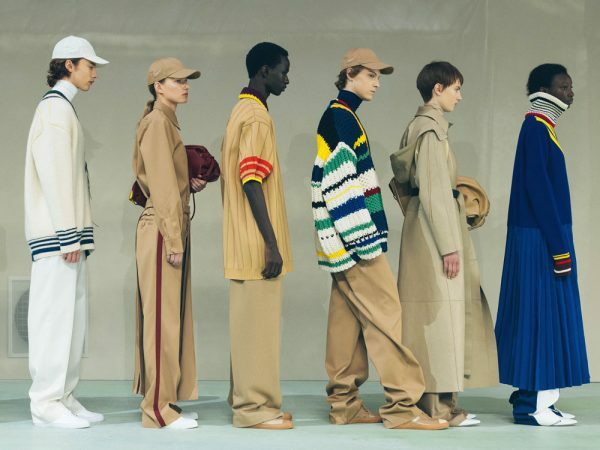 Many companies like Corneliani, Canali and Pal Zileri have held runways shows then converted back to presentations at Pitti and then went back to Milan for shows. It’s a fact, there is growth in the bespoke market but suit sales are way down all over the world. New CEO Giovanni Mannucci who came on board at Zileri one year ago knew he had to find the right designer to get his project started and get back on the catwalk. So this is what Pal Zileri did yesterday under the new design stewardship of Rocco Iannone and it turned out to be one of the highlights of the season. 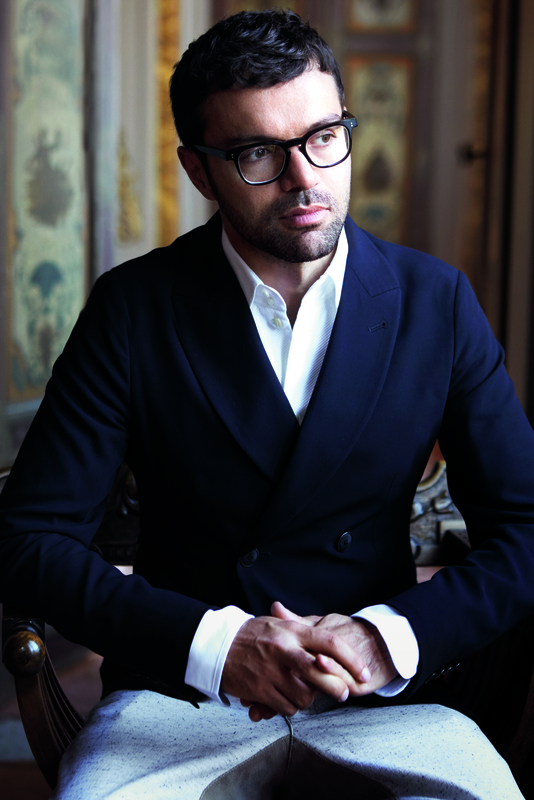 Rocco Iannone hails from Giorgio Armani and Pal Zileri’s new CEO Giovanni Mannucci recruited him on gut instinct. Why? Mannucci says that his new designer is passionate about luxury and innovation as he feels there is too much repetitive talk about quality out there but not the right product. Iannone loves clothes but is a realist as he considers and thinks about real men when designing and not an ideal one. He wants to make the suit a pleasant thing again. 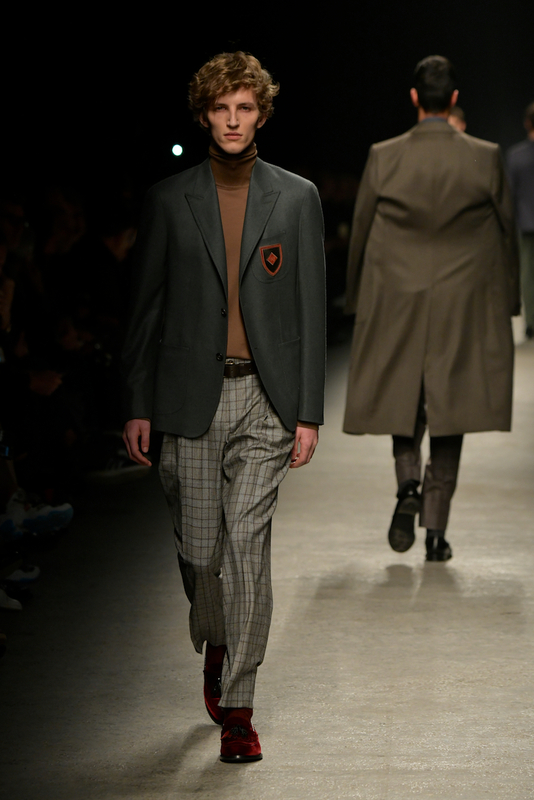 Venetian colors and neo-realism guided Iannone to this new collection of deft tailoring and clearly thought out individual staples like maxi cord bomber jackets. 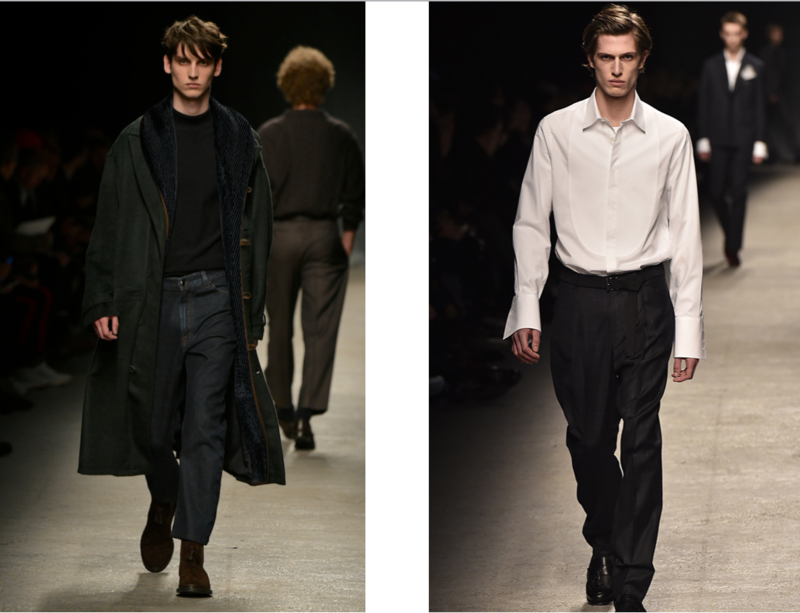 The tailoring was cleverly injected with fashion pieces liked the distressed jeans. Iannone wanted to avoid a macho silhouette to suit the modern men’s softer tastes. In fact, he cut his pants low on the crotch to create a softer silhouette. These are the good seasons. When the Fall/Winter shows are on and the first signs of Spring are in the air. 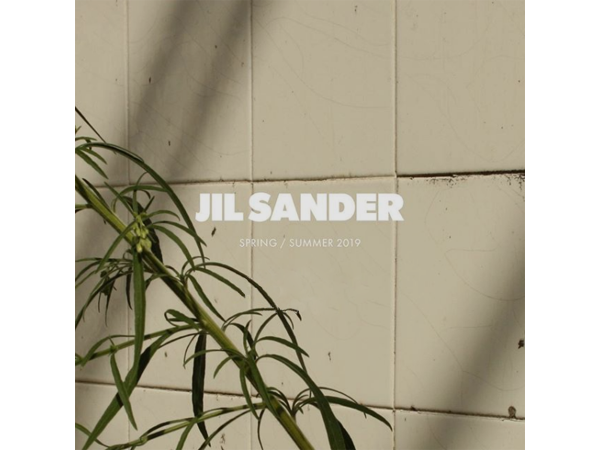 Birds chirping and editors donning new their new clothes and not their old winter ones. While New York was icy, Milan makes us feel warm.